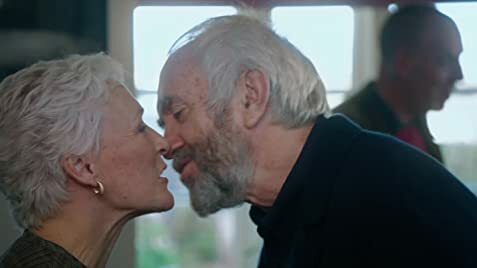 THE WIFE is the story of the neglected long-suffering wife, Joan (Glenn Close) who when he film opens learns that her husband Joe Castleman (Jonathan Pryce) is to be awarded the Nobel Prize in Literature for his body of work. Both travel to Stockholm with son in tow. But secrets soon surface. As they say, behind the success of every man is a woman. It turns out that Joan is the secret of Joe’s success. She is the one actually writing all the books with the husband Joe claiming all the victory. When Joe gets all smug about it, and worst still begins making advances to a female photographer, Joan finally loses it – with the husband’s pride, insincerely and dishonesty. The story also flashes back to the 1950s when Joan (played by Close’s real-life daughter Annie Starke) was an eager student and Joe (Harry Lloyd) was a then married creative writing professor – and to the 1960s when Joan got a job at a publishing house. Although Joan herself had writing ambitions in those days, a caustic encounter with a failed novelist (Elizabeth McGovern in an extremely effective and amusing cameo) warned of the obscurity awaiting the “lady writer” no matter how talented. Her words determine Joan’s ultimate fate in life. It is not that a writer needs to write. A writer needs to be read. A woman’s work, no matter how good will never be read. A film about writers and this one about a Nobel Prize winner for Literature at that is expected to have exceptional writing. Jane Anderson’s script achieves this but blows it in one unfortunate scene. At best, the script reveals only bits of the wife’s secrets at a time, whetting the audience’s appetite for more in terms of anticipation. Some of the best script involve unwritten dialogue. When a tragic event occurs in the film (not to be revealed as a spoiler), Joan’s sad face is shown but with no tears, the only water shown in images on each side of the frame. But Anderson’s script blows it in the introduction speech when Joe is given the Noble Prize during the ceremony. The phrase “most importantly,” is used. Not only is this phrase considered incorrect grammar by many, this phrase was only used in the last 5 years or so in North America and therefor never in the 1990’s (the film’s setting) and certainly not in a European city like Stockholm. The script’s best line is uttered by Joe: “There is nothing worse than a writer with feelings that have been hurt.” Yet Joe does not realize the truth in his words. He has committed the offence twice in not acknowledging his son’s work and more important, his wife’s literary contribution. The husband and wife’s final confrontation is also well written and well acted out. 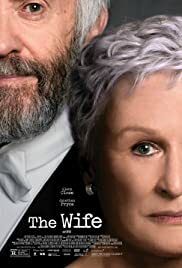 Glenn Close is an exceptional actress who has been nominated six times for an Oscar. She delivers a brilliantly understated performance a kind of reversal FATAL ATTRACTION that should finally garnish her the Oscar she deserves. If her character, Joan never won any award, lets hope that this would be an example of life not imitating art.